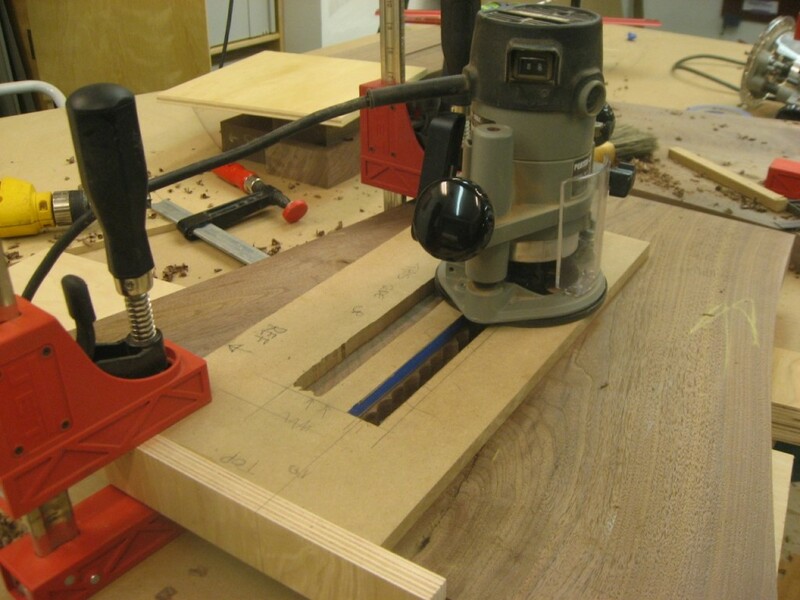 The template can take awhile to perfect, but then making the actual mortise is a very fast and foolproof operation. I use the template to first pencil in the area to be mortised. 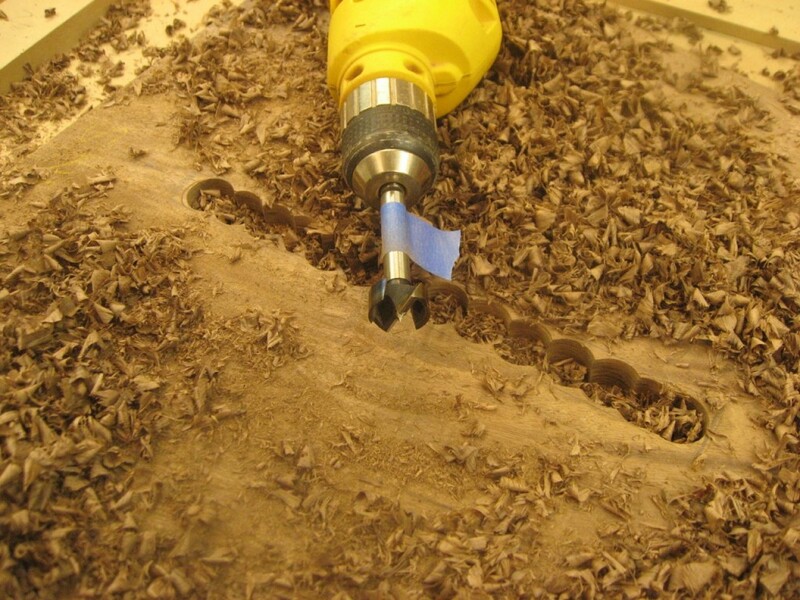 A handheld drill (use a corded one for this operation!) and a forstner bit removes most of the waste. 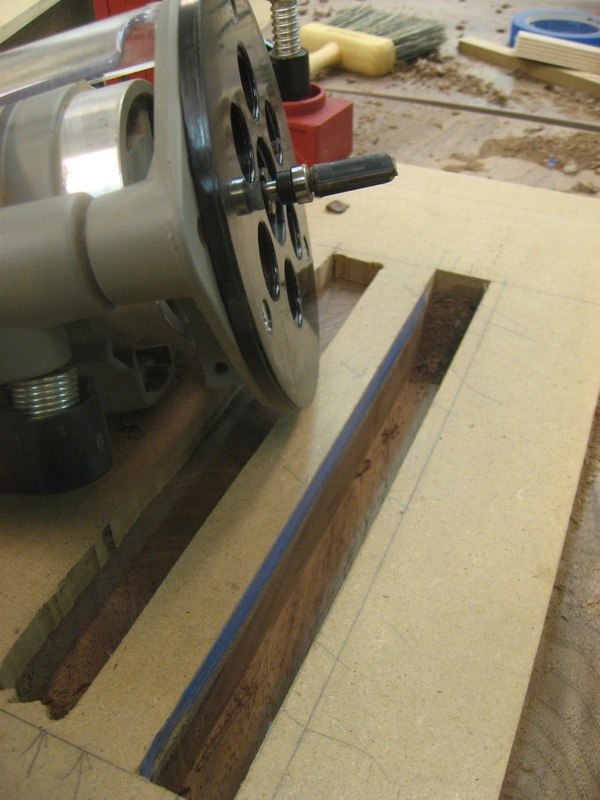 The template has an “end” to it that registers against the top of the workpiece, so I can clamp it in place easily. The router runs right along it no problem. The result is a nice clean mortise. I love that it has a flat bottom from the router bit also.